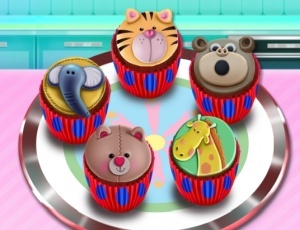 It is a delicious adventure where all the kids should be invited, because not only that you learn how some tasty cupcakes are made, but you also have the power to decorate them as you wish. This cooking game is all for fun and you actually will be guided during the process so you just have to follow the instructions given in order to bake those sweets. Have fun and let us cook together ! You have to use the mouse to play this game.